My mother swears to this day that I was born with a pair of track spikes on. Growing up "back in the day" I was like most kids, I played baseball (12 -1 was my best year pitching) and played basketball (starting guard). But there was always this strange attraction to running. I would go run 4-6 miles before basketball practice and games and then would stay late to run “suicides” after games, I loved to run. It wasn’t until one day the Junior High track coach pulled me out of class and told me I needed to focus on running track. During the spring of my 6th grade I ran my 1st marathon because nobody knew any better and they let me do it. During the last few weeks of Junior High the local college coach came to my school to invite me to run with the college guys during the summer before my freshman year of HS…what a learning experience! My early years were spent as a sprinter, hurdler and high jumper. While I had good speed and won many meets in these events, I still was being pulled towards the “distance” events. My earliest memory of a distance race was a local Thanksgiving 3 mile cross country race my coach took me to. He picked out a kid he believed was the top runner and told me to hang onto him. I did what he told me and going into the 2nd mile we were in the middle of the pack, coach yelled “GO!” and away I went and onto 2nd overall…I found my love and passion. Since those early days I’ve been fortunate enough to run and compete at about every level and distances, having attempted to qualify for the 1988 Olympic Trials in the 5000 (14:11 PR). As a Grand Master runner today I still pick my days when I can go out and play with the “young guns” and prove to myself and others that while I may be in my mid 50’s that doesn’t mean you and I can’t still run a competitive race. 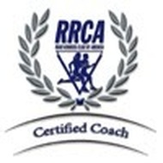 I’ve been coaching since the mid 80’s and have had the pleasure to coach every level and ability of runner. From helping 5 runners make it into the Olympic Marathon Trials to the largest fund raising charity marathon program in the world to every ability in-between. 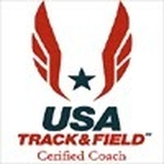 My coaching philosophy stems from my past competitive life, my USA Track and Field Coaching Certification and applying them to real life situations and hopefully holding true to my motto: Are we having fun yet? In 2003 after coaching for a national fund raising organization for a few seasons, my wife and I started organizing runs for past participants that wanted to continue running but needed a break from the fund raising. Shortly after that we decided it was time to officially create a local (Minneapolis area) running club called Mile To Marathon. That club is still going strong today and I currently organize daily runs for the team and personally coach a large percentage of runners that are part of that club. If you're local, check us out. I invite you to read more about my training and coaching plans and how they might fit into your training and racing goals. Thank you for checking out my Mile To Marathon website and whether you choose to come on board or not, I hope that you’ll stop by from time to time to read about our continued successes from the mile to the marathon.